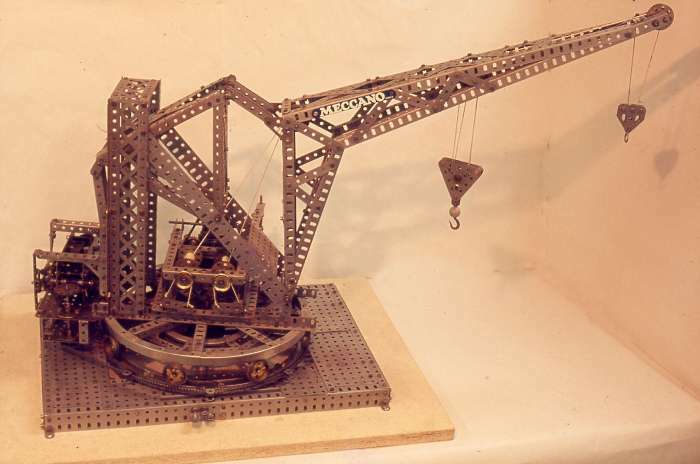 SML 28 - This model is my all-original nickel model of the Pontoon Crane SML 28. This shows quite clearly how the Channel Segments were used to provide large roller bearings for models prior to the introduction of the famous Geared Roller Bearing (part No.167). The slewing is accomplished by the use of a loop of chain (part No.94) around the bottom ring of segments, guided by a number of Double Brackets. 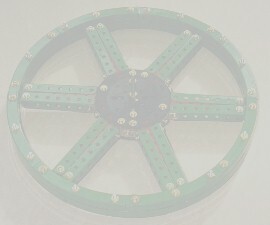 The upper ring is driven round the loop by a 1" Sprocket Wheel mounted under the superstructure. Actually the bearing looks better if 3/4" flanged wheels or even 1/2" pulleys are used as the rollers, but the SML called for 1 1/8" Flanged wheels, so that is what I used for the model. 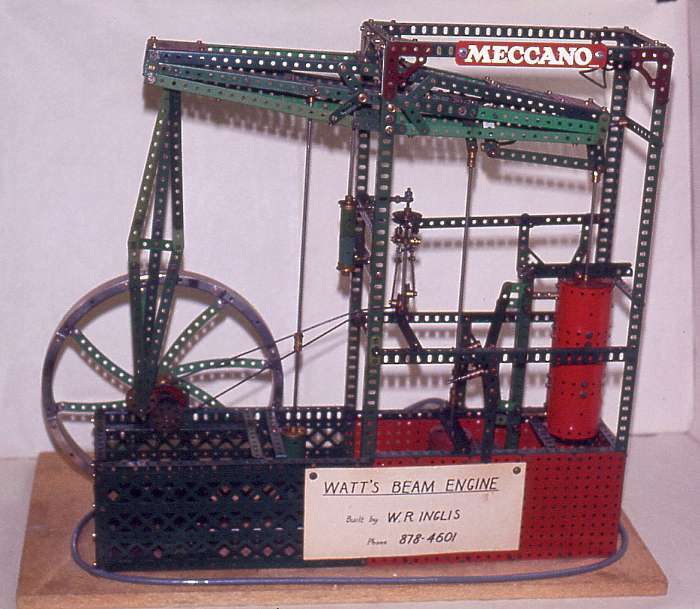 Watt's Beam Engine - This is a pre-1940 large Manual model of Watts Beam Engine in Red and Green, which clearly demonstrates the use of part No.119 as a Large flywheel.